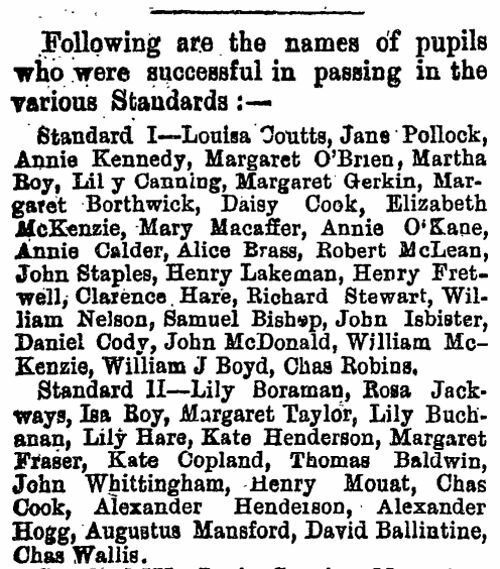 In Dec 1888, Gore Public School was subjected to an inspection and Lily was assessed as having reached Standard II, which was generally assessed by the inspector as "Arithmetic, and especially, notation, was weak. Reading was on the whole good, being, bold, distinct and correct. Spelling and writing were also satisfactory."